Could this story have had a happy ending? Dana and Chaurisse both tell stories of what happened before they were born. Whatdid you think of this technique? Are there stories about things that you cannot possiblyremember that you feel almost like you witnessed? 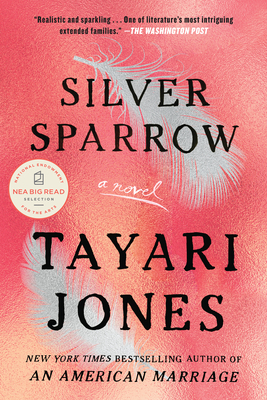 There are many moments of truth in Silver Sparrow. What should Gwen havedone when she discovered her pregnancy? Gwen tells Dana that they have an advantage over Laverne and Chaurisse because theyknow the truth. Is this true? Should Gwen have married Raleigh when she had the chance? Is it possible to have a healthy relationship that is not monogamous? There is so much talk these days about fatherhood—contrasting the deadbeat dad withthe Bill Cosby-type father. How do you evaluate James Witherspoon, who is both? Is Laverne’s life better or worse for having married James? What about Gwen? Why do you think Raleigh is so loyal to James? Is this devotion warranted? Tayari Jones often writes about the way real people interact with history, for exampleGwen’s feelings about the death of Martin Luther King. What do you think of thistechnique? Have you interacted with history? How did it affect your personal story. In the chapter, “Love and Happiness” there is an appearance of an actual historicalfigure—the woman who threw the grits on Al Green. Were you familiar with this story? Ifyou were, did this chapter change your understanding of it? Which of the characters was your favorite? Who would you like to know more about?